How to roast the perfect chicken! My favorite culinary professor taught me this technique. It’s a little fussy- but I’m yet to have it let me down. I LOVE a perfectly roasted, crispy skinned chicken. If you do too- here’s the guide to accomplishing it! The key to getting a beautiful crisp color is steady heat. 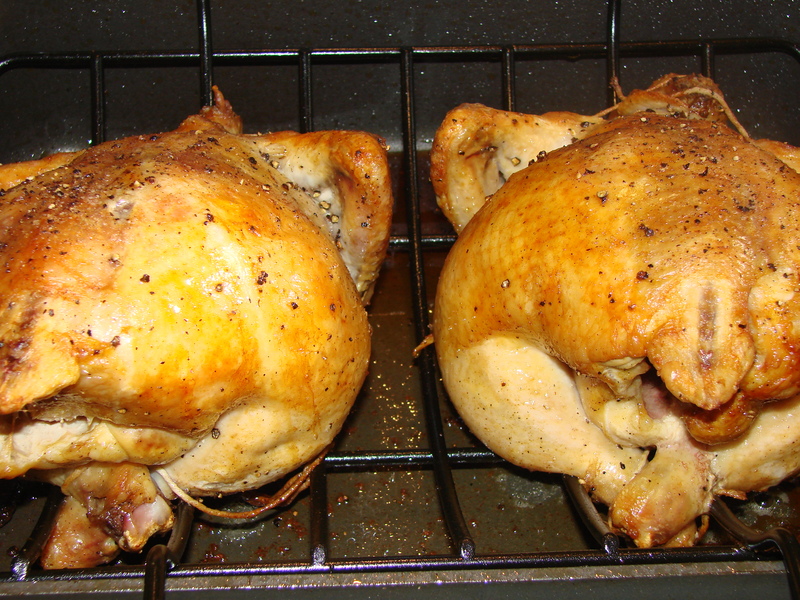 With that in mind- you need to work as quickly as possible when changing the position of chicken and basting it. In and out – quick as a whip so it does not cool down between steps. 1. 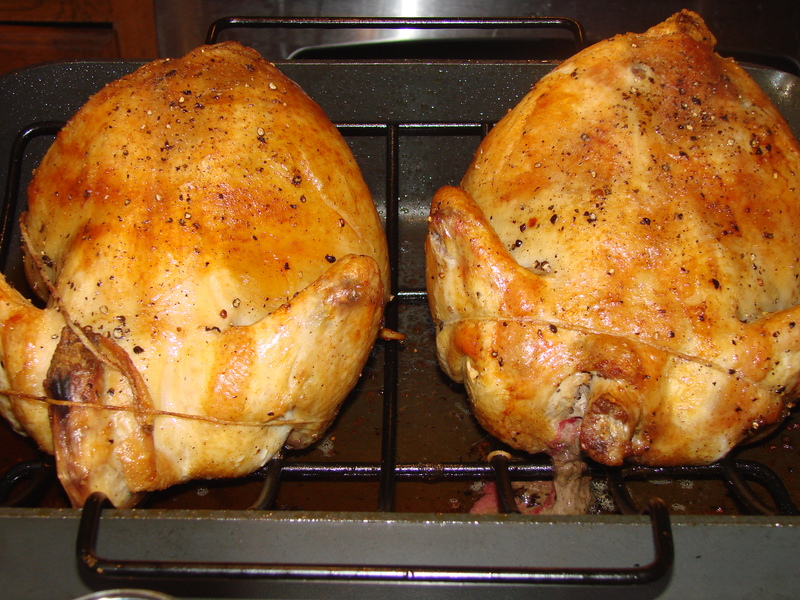 Brine your chicken – 1 cup of salt to 1 gallon of water. Allow to brine for 2-3 days before roasting. This is completely optional. It’s great for making sure you don’t end up with a dry chicken. The brine keeps the bird moist even if it ends up over cooked a little. 4. 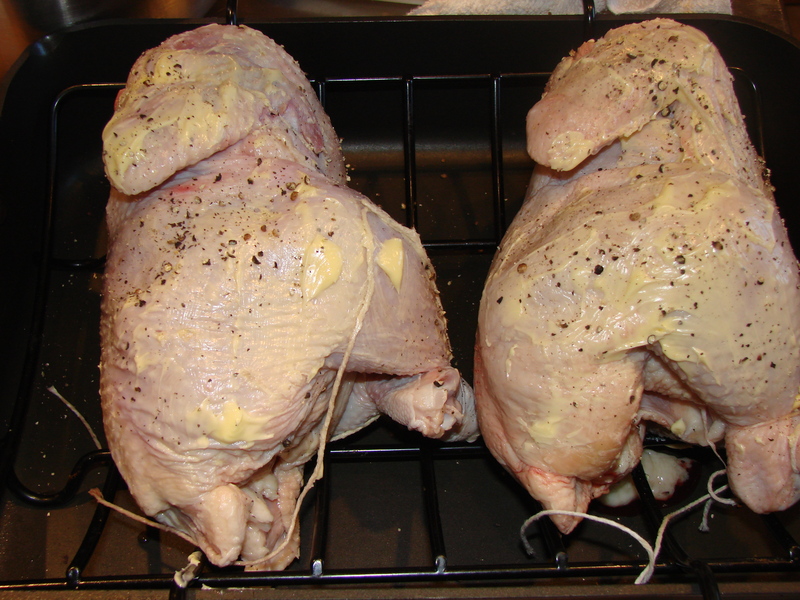 Once trussed – place your chicken in a roasting pan with a rack. Lay it on its side. Baste- and the place in the oven. 5. Roast 5 min, then flip the chicken to the other side. Baste. 6. Roast 5 min on the second side. Flip the chicken to breast side up. Baste. 9. Roast chicken breast side up for the last 15 minutes (or until finished). Chicken should register 165 degrees internally with a thermometer. Allow the chicken to rest for 10 min before carving. This allows the juices to settle back into the meat- and not run out all over the cutting board!